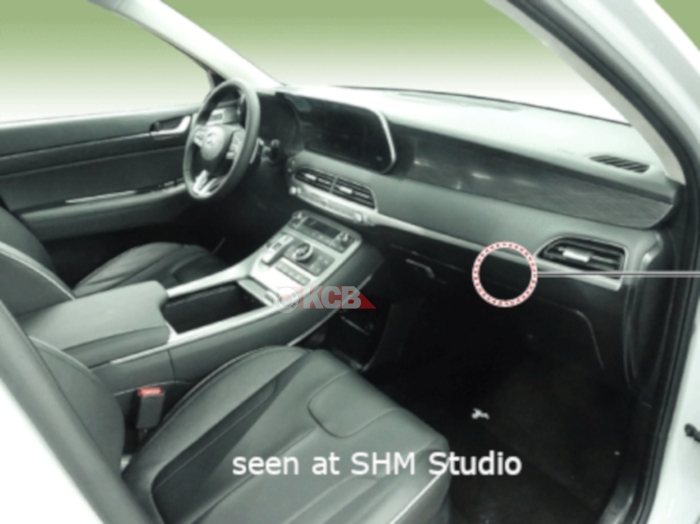 After we already seen the exterior of the 2020 Hyundai Palisade that is set to be global premiered at Los Angeles Auto Show next week, today we have an exclusive set of spy pictures, courtesy of our friend SHM Studio including the interior which is very detailed in what it looks like to be a workshop manual that were leaked. The future SUV will convey a bold exterior that commands attention and has strong inherent imagery of safety and security, especially important with parents with growing families and active lifestyles, with a well finished interior as we can see for the first time. At this time, we have a bunch of pictures detailing the new infotainment system, shift selector that is like the one on the Kona EV (it just have buttons as a way to select) there’s not a gear knob, a partial digital Cluster, like the same as used on the Santa Fe, and a dashboard design that I think were inspired by Mercedes models, trying to make like a big screen together with the IT system and cluster. 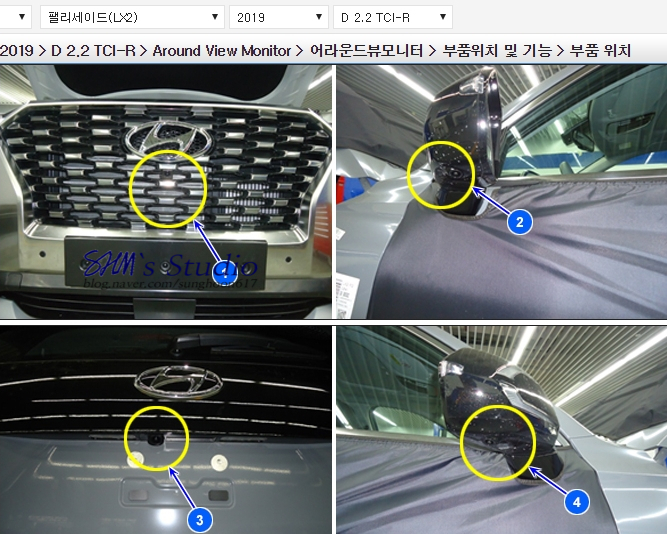 As you can see on the picttre above, Hyundai will offer a 4 button gear selector as well as the Drive Terrain selector, including a few options like “Eco, “Sport”, or the new “Snow Mode”. 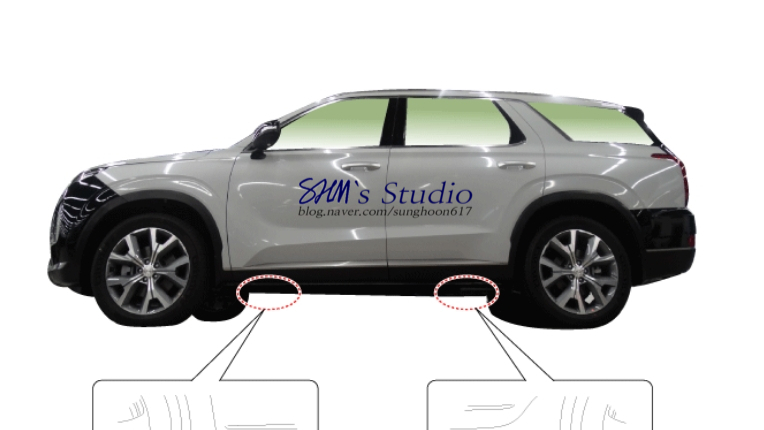 The infotaiment system will have a new widescreen between 10″ inch to 12″ inch, with a new design of the 3 areas, just the same as we have just seen on the Kia Soul teasers. 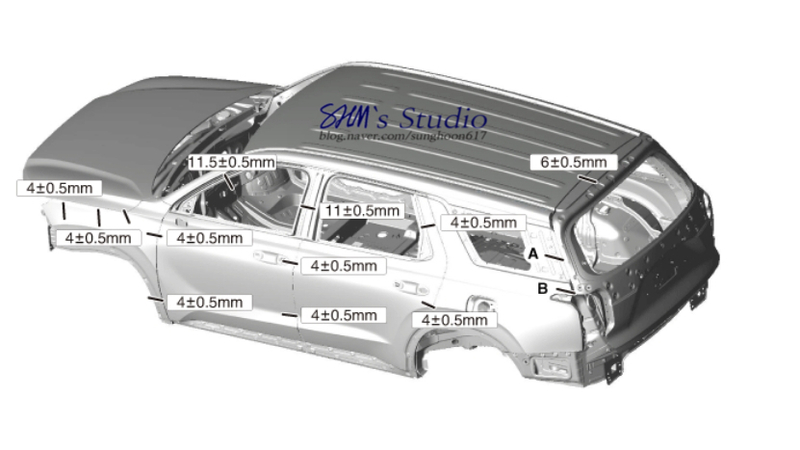 At this time, we have a clear view of the side & rear look thanks to the picture above, that show the SUV profile and a tailight that bites a part of the side design as well as chassis measures (picture below). We also have more pics of the detailed exterior, including the front grille, and the Around View Monitor that has 4 cameras in total. 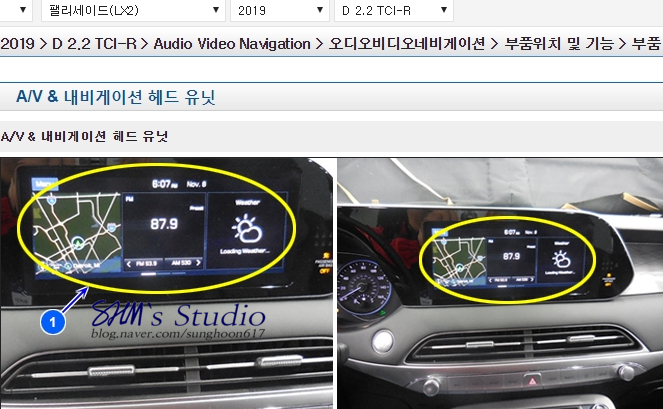 Also on the screenshoots we can see the 2.2 TCI engine, which is the 2.2 CRDi diesel engine with 200 hp. Engine line-up is not confirmed yet but after Palisade surpassed Korea Energy Homologation, it showed a 3.8 GDi engine with Front Wheel Drive and up to 20-inch Alloy wheels, and despite this configuration the fuel economy was set at 9,3 km/l (almost 22 mpg) which is not a bad number. A Diesel variant it is not ruled out. 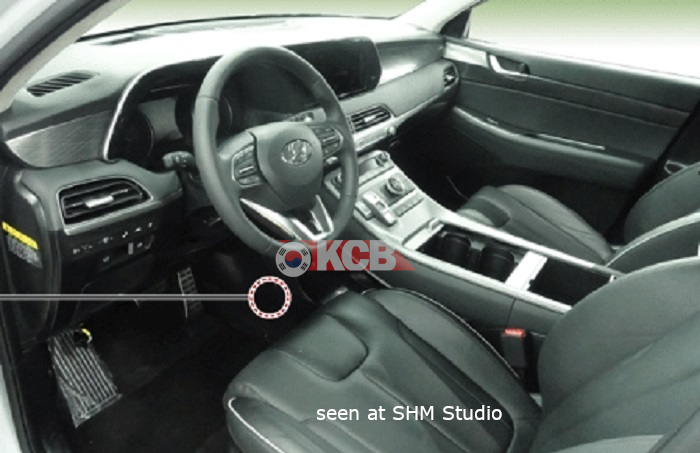 What do you think about Hyundai’s big SUV interior?